Structured daily exercise is highly essential for a healthy life. More so these days, when the majority of the lifestyles are fairly sedentary and require very little physical exertion. Gyms and home workout routines are becoming increasingly popular for not just weight loss but also to build healthy bodies. A lot of people falsely assume that they should not eat anything before and after a workout, or ignore eating due to lack of time or convenience. This is absolutely wrong. Pre-and-post workout foods are just as important as the workout itself. Everyone’s nutritional requirements and preferences are different depending on their goals, type of exercises they select, and various other factors like muscle build-up, weight loss and fitness level. 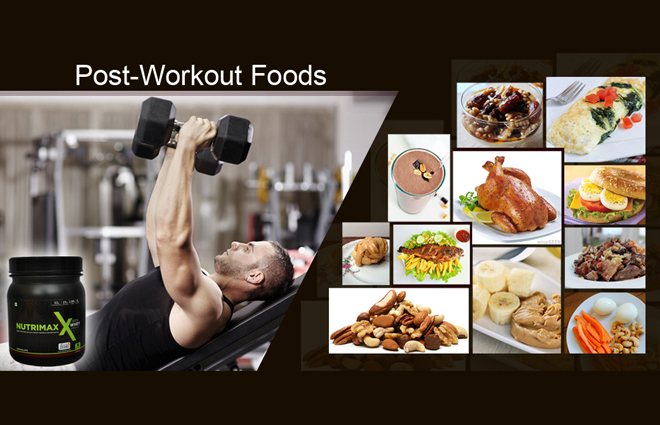 But generally, pre-workout foods provide fuel for the workout and tend to be carbohydrate rich, while post workout foods are rich in protein for muscle repair and recovery. Here’s a list of easily available and easy to prepare choices for individuals who are not on any structured dietary regimen. Pre-workout foods will give you more energy. A combination of carbs and protein is recommended for pre-workout meals. Fat can also be beneficial, but if consumed it should be done at least two hours before exercise. A simple rule for the balance of carbohydrates, proteins, and fat in the meal would be a ratio of 4:2:1 respectively. Bananas: This miracle fruit has natural sugars, carbohydrates, and potassium. It provides more energy than caffeine and boosts your glycogen stores. They can be eaten fresh or can be combined with a salad. A banana shake without added sugar will also do. Brown rice, Black beans & Vegetables: Black beans are a good source of protein, rice gives carbohydrates, and vegetables keep you refreshed. This prefect combo can provide you with amino acids to promote muscle anabolism and is also a slow releasing source of energy. This kind of meal is ideally consumed 2 to 3 hours before a workout. Chicken, Sweet potato & Green beans: If you do not prefer rice, you can just replace it with boiled sweet potato and beans to get the same results. Almond butter, Banana (or Apple) & Coconut: Freshly grated coconut mixed with banana or apple and almond butter is a package of all needed protein and carbs. Baked broccoli, Cheese & Pepper omelette: Load the eggs with your favorite veggies and cheese, bake them heartily and eat. This tasty dish will not let you down. Sweet potato & egg scramble: is another healthy option for a good combo. Apple-Peanut butter energy bites: Cut the apple into slices and top it up with a scoop full of almond or peanut butter. Oatmeal: This is the ultimate pre-workout snack. It contains all the complex carbohydrates and is also a good source of soluble fibre Beta glucan. Oats can be consumed around 2 hours prior to a workout to get a slow releasing energy source which continues through your workouts. Adding a scoop of (whey) protein supplement to the oatmeal is an excellent idea to get a great dose of protein and muscle protecting amino acids. Homemade protein bars: Dry fruit and chocolate bars, peanut bars, sesame and jaggery bars, are just a few examples. These are easy to make and take while on the go but are a rich source of all the required nutrients. Refuelling your body after a hard workout is important for recovery, particularly if it lasts longer than 60 minutes. If you workout is strength based, the food you eat is the only way for your muscles to rebuild and repair. If your workout is short or moderate, you can wait until the next meal. If it is high intensity, strength based, or lasts over two hours, the window for glycogen replenishment is the first 30 to 60 minutes after your workout. Banana-Peanut butter bites: Banana with a good scoop of peanut butter is a snack which comes as a package of carbohydrate, protein and fats. Hard-Boiled Eggs with Carrot sticks & Nuts: These contain healthy protein and fat which will boost your energy levels. Nut-Butter-Rolls: Whole wheat rolls wrapped with banana or apple slices, peanut or almond butter, and a dash of cinnamon powder, is all you need for a refreshing snack post workout. Cinnamon powder is a spice linked to stabilizing blood sugar and improving brain function. Egg & Vegetable sandwich: Sandwich your favorite veggies like tomatoes, bell peppers, cabbage, egg and bake it. Toss with salt, pepper and chilli flakes. Peanut butter & Chocolate protein shake: This shake will curb your sugar cravings. Add a dash of whey protein or a plant based protein powder and cinnamon powder along with peanut butter. Nuts: Mix all the nuts and toss it up with honey. Spinach and Egg white omelette: Add finely chopped spinach with egg whites and bake it. Greek yogurt and Dried fruits: This snack is a great source of protein to help optimize your workout. Meat: Grilled chicken and meat is a good source of lean protein. Fish is a good source of protein and omega-3 fatty acids. Regardless of whether you are performing high intensity or low-intensity exercises, you will benefit from supplementing your diet with these products as they provide the necessary nutrients to build muscle in a concentrated, readily available form and fill up the gaps in the diet. 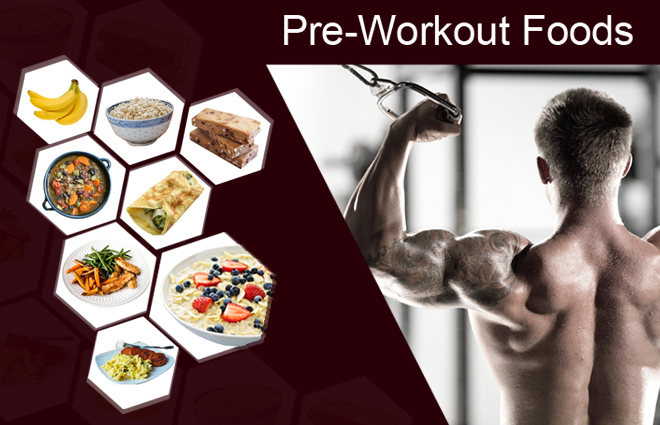 While the first thing that generally comes to most peoples’ mind when thinking about nutrition supplements are the terms “whey protein,” “creatine,” and of course, the notorious “post-workout anabolic window”, what many people often overlook is the vital importance of pre-workout nutrition for long-term muscle-building goals. Creatine: Many studies have shown that creatine increases muscle mass, muscle fibre size, muscle strength and power, and also delays fatigue. Taking this supplement post-workout is more effective than pre workout. Branched-chain Amino Acids (BCAAs): These refer to the essential amino acids valine, leucine, and isoleucine. Studies reveal that BCAAs reduce the risk of muscle damage and increase muscle protein synthesis when taken prior to workouts. A dose of 5 grams or more at least an hour before workout is recommended. Whey Protein: This is the protein that is separated from the curd in the production of cheese. Whey protein is rich in minerals and vitamins. It is absorbed quickly and provides a steady stream of amino acids which enter the blood quickly. This has been shown to promote gains in lean mass and strength, reduction in body fat, and increased growth hormone release. It can be taken pre or post workout. Whey Protein Isolate: This has limited fat and lactose and hence is considered a safer supplement for those who are lactose intolerant. L-Glutamine: Glutamine is the most common amino acid found in muscles. It is the most important amino acid. During intense workouts, glutamine levels are greatly depleted in the body, which decreases strength, stamina, and recovery. It can take at least a week for glutamine levels to return to normal.